Pre-Construction to be built. This Penthouse residence offers stunning southwest panorama of Bay, Gulf and City views. Soaring 11’ ceilings, walls of glass and oversized terrace. 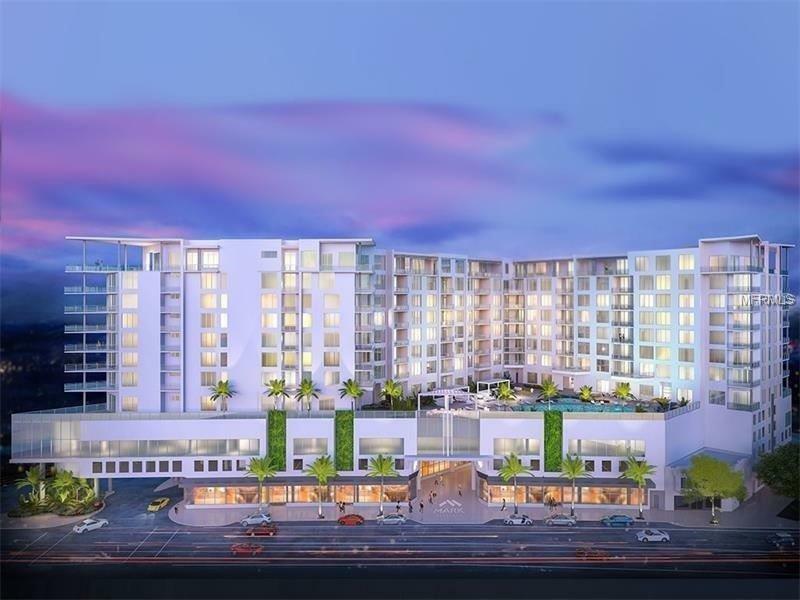 Presenting a walkable and effortlessly luxurious urban lifestyle, Mark Sarasota is downtown Sarasota’s newest landmark address, set to be built just one block south of Main Street. Featuring 157 residences from floors five through 12, the sleek modern floor plans overlook the vibrant cityscape with expansive terraces that extend the living space outdoors. Complementing the dynamic residences are stunning fifth-level amenities which create a true urban oasis, including an elevated resort-style pool with private cabanas and fire pit lounge, a Resident’s Club Room with catering kitchen and club bar, News Room and cutting edge fitness center. A secured, access controlled lobby and owner-only elevators, 24-hour concierge and on-site management complete the sophisticated collection of amenities. The definitive downtown lifestyle offered by The Mark centers on Sarasota’s delightfully walkable core, lined with specialty shops, street-side cafes, elegant restaurants and art galleries. Also just moments away is the dazzling Bayfront and Marina where boating opportunities and waterfront dining await.